Now is the perfect time to travel to beautiful Rajasthan, India. Beginning in the month of October and ending in late April, this part of the world boasts the best weather for both sightseeing as well as wildlife spotting. Plan your stay at Aman Resort's gorgeous Aman-i-Khas wilderness camp where an exciting adventure awaits. Situated in the rugged brush forest on the edge of the Ranthambore National Park, Aman-i-Khas gives a new meaning to the word "glamping". Glamping, meaning glamorous camping, has recently become a very chic way to vacation. This new phenomenon gives travelers the camping experience with luxury amenities ensuring guests want for nothing. 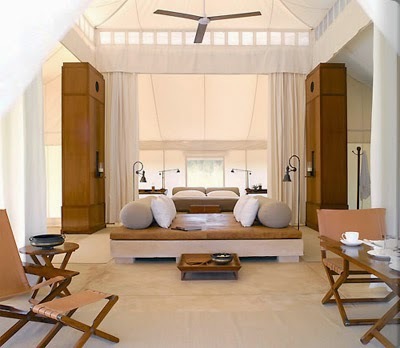 The 10 luxurious tents of Aman-i-Khas are air-conditioned with soaring canopies and cozy conveniences. This remarkable rustic camp also offers up separate tents for dining, spa treatments and relaxation not to mention the refreshing step-well or pool, wireless Internet and the always helpful staff. However the truly thrilling feature of this stunning resort happens to be the locals, and by locals we me the wildlife. Aman-i-Khas arranges twice daily guided tours into the nearby park to see the animals that call the park home. These animals include tigers, leopards, hyenas, sloth bears, crocodiles and chital deer. Guests can also venture off-property to visit the Ranthambore Fort, the old city, Khandar Fort, the Banas River and view a wide variety of birds. Aman-i-Khas is a destination that will dare you to step just a bit out of your comfort zone, but not too far our, for a memorable trip. 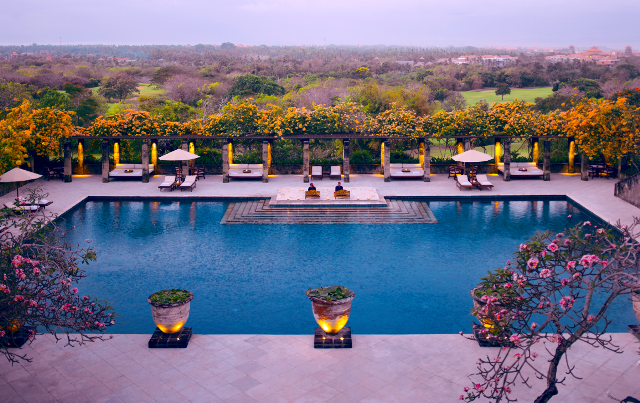 When booking your stay at Aman-i-Khas across the right site, guests could receive Exclusive Complimentary Perks for an incredible time. These perks include a daily continental breakfast for two, available upgrades, a $100 hotel credit and options for an early check-in or late check-out. Aman-i-Khas is a unique vacation destination that presents visitors with an intimate setting surrounded by natural beauty and loads of wildlife. 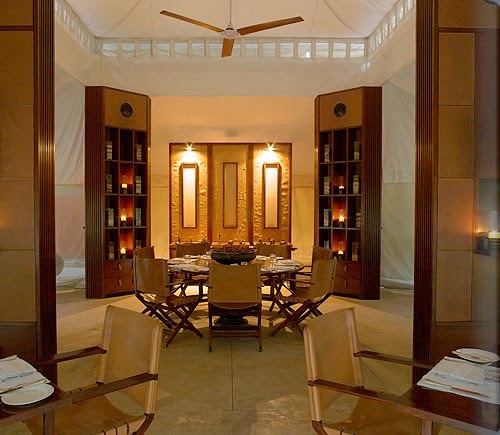 Come to explore all that India has to offer at this thrilling Aman Resort.